Real-Time Database Monitoring, Auditing, and Intrusion Prevention Databases store an enterprise's most valuable information assets, but in most organizations they are poorly protected. It's common sense to secure databases, but it's not that simple. 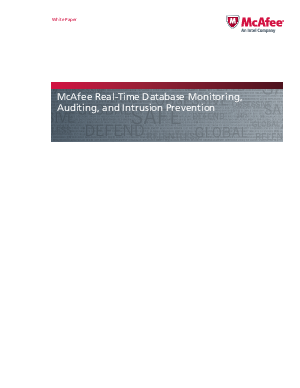 This white paper discusses the shortcomings of database security tools, and details the approach required to provide real-time, comprehensive database protection.